This is a simple Indian Dessert made with Semolina roasted in Clarified butter and cooked in milk and rolled into balls. 1. 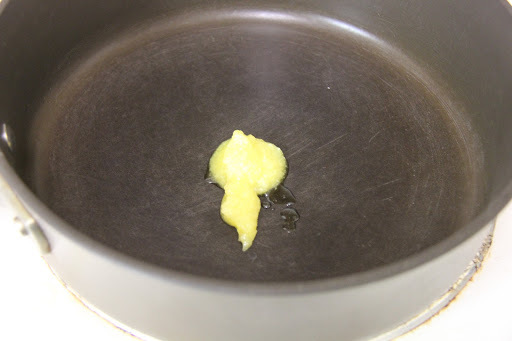 Warm the ghee in a pan.The entire recipe needs to be made on a low flame. 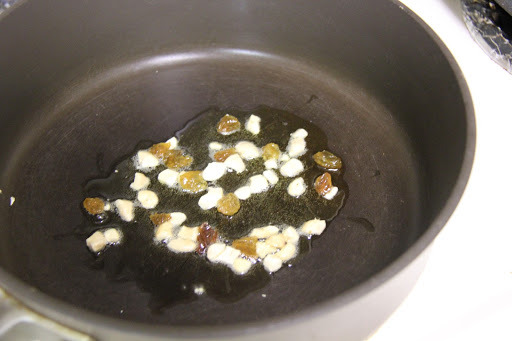 2.Add the raisins and the cashews. 3. Add the coconut and cardamom powder to the pan. 4. Mix once and add the Ravva. 5. 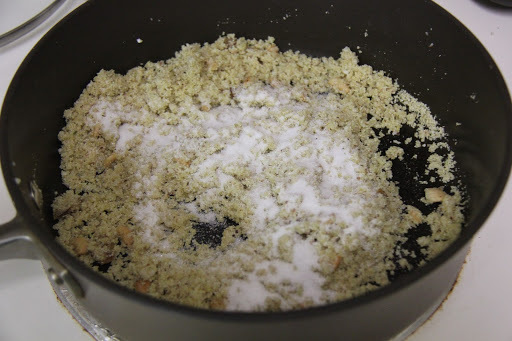 Fry this mixture for 3 mins and add the sugar. 6. 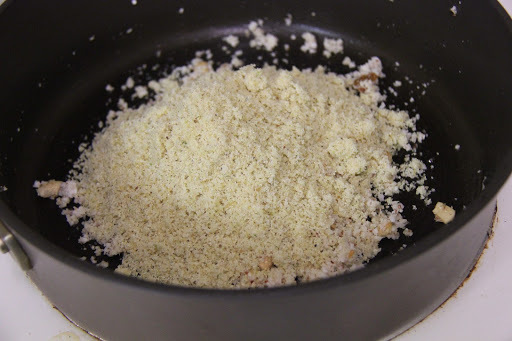 Continue to roast the mixture until the colour changes to a light brown. 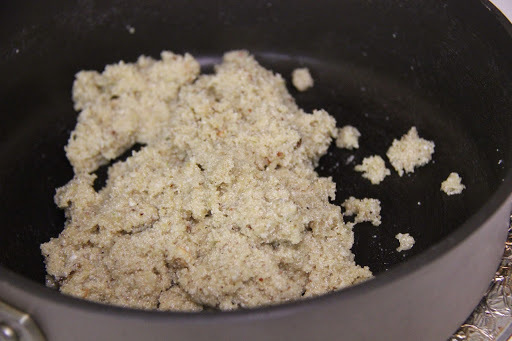 Keep stirring for 4 minutes or the Ravva will burn.Once the mixture is browned lightly, slowly add the milk, stirring continuously until the Laddu mixture comes together. It will be quite moist and will stick around your ladle. Turn off the stove. 7. 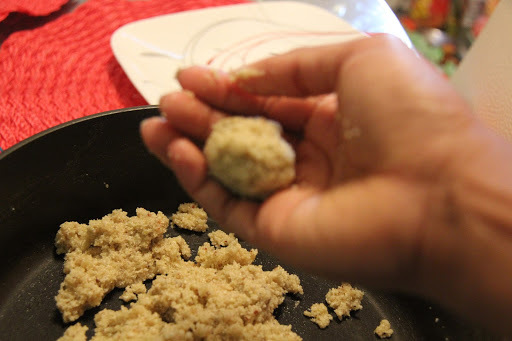 When the Laddu mixture is warm enough to handle, make into lemon-sized balls and gently set aside. 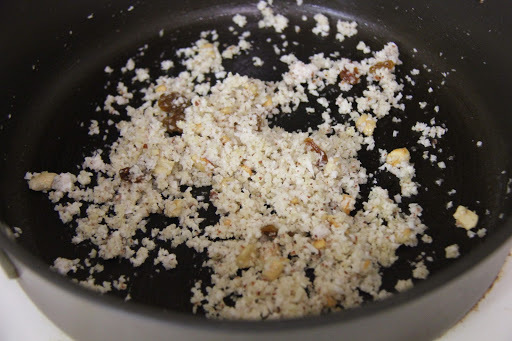 If the mixture is too dry, sprinkle water or milk as you shape the Laddus. You can add water instead of milk to make it last longer. You can more coconut if you like(not more than Ravva). 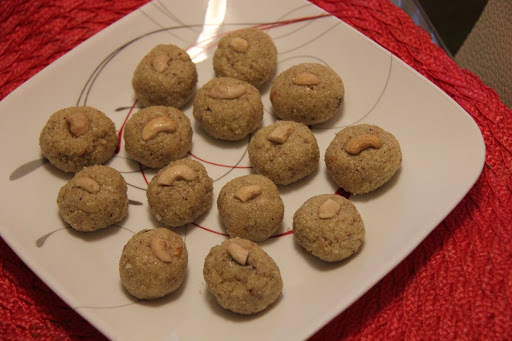 1/2 cup sugar yields a less sweet Ravva Laddu,add 3/4 cup sugar for a sweeter laddu.Add less milk or water for firm laddus.